Trails through this historic farm lead down to the Hudson River, providing spectacular views of the distant Berkshire Mountains along the way. Long View Park, on the site of the the historic Bronk/Armstrong farm, was created and is managed in partnership with the New Baltimore Conservancy. 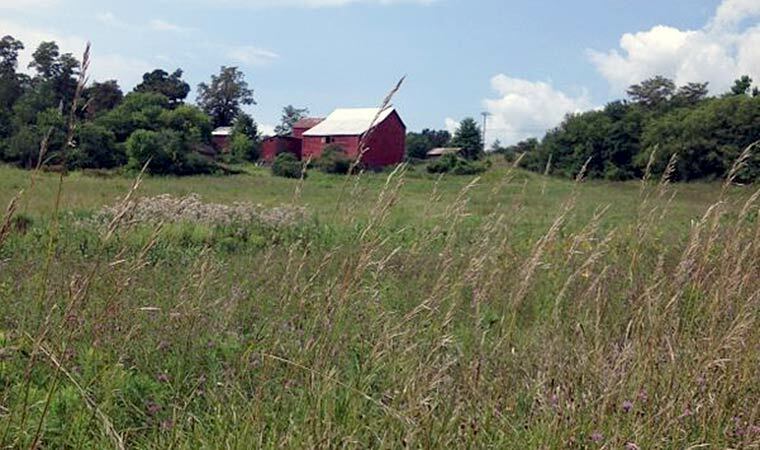 New Baltimore, Greene County (76 acres)—The first thing that greets you upon entering Scenic Hudson’s Long View Park is an old red barn, which attests to the property’s previous, centuries-long incarnation as a farm. Today, a profusion of wildflowers bloom in the former pastures, attracting dragonflies, butterflies, birds—and humans eager for close-up connections with nature and outstanding vistas of the far-off Berkshire Mountains (hence the park’s name). From the open fields, the trail heads into the woods before reaching the Hudson shoreline, affording superb views up- and downriver. 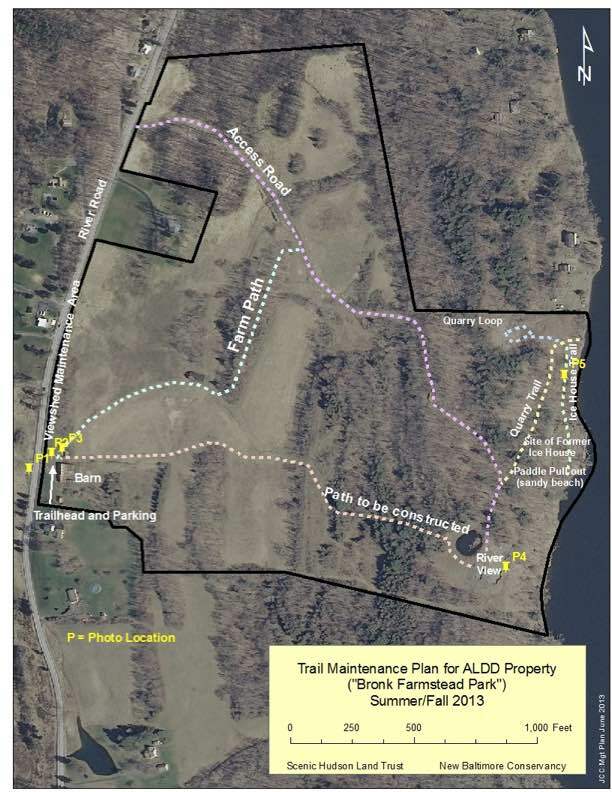 Scenic Hudson acquired this land in 2012 to ensure its permanent protection. The New Baltimore Conservancy created and manages the park, which opened in September 2014. Thanks to this partnership, visitors now and in future generations have an exciting place to explore the Hudson Valley’s scenic splendor and agricultural past. Now that’s taking a long view, indeed! Year-round daily dawn to dusk. Allow 1 hour.